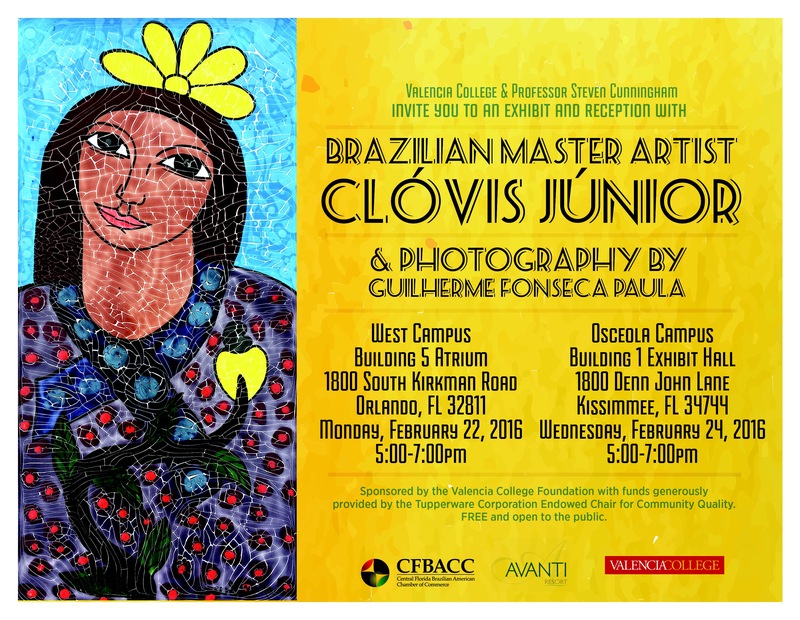 Don’t miss this unique opportunity to meet famed Brazilian artist Clóvis Júnior exhibiting his vibrant art. Refreshments and inspiration will be provided! This event is free and open to the public.